(Nanowerk News) An attosecond is one quintillionth of a second, roughly equivalent to the relationship between one second and the age of the universe. Attosecond light pulses can profoundly change the states of matter. By using attosecond light pulses, electrons can be excited to a higher energy level (a higher orbital), which is characterized by a series of quantum numbers that describe the energy of the excited electron, the rotation of the electron around the core of the atom and its spin. If the energy that is transferred from the attosecond pulse to the atom is high enough, the electron can even ionize – which means that it leaves the atom and flies off, for example towards a detector. 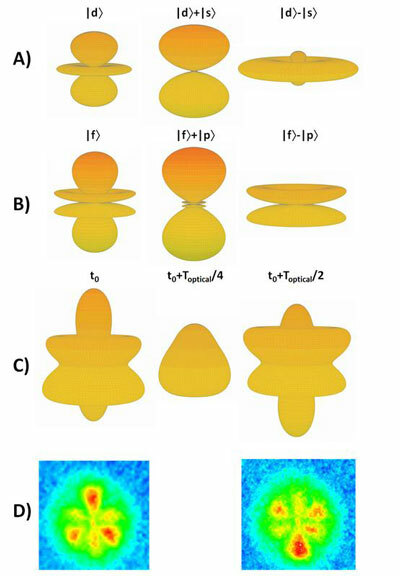 In the new attosecond experiment, the scientists managed to completely measure all quantum numbers of the released electron – or indeed, the wave function of a released electron – which is why the experiment may be called a “perfect” attosecond experiment (Science, "Coherent imaging of an attosecond electron wave packet"). Electrons are elementary particles that make electricity possible. Ionization, for example, is the basis for the operation of solar cells. Sun light releases electrons in silicon, generates a current flow. 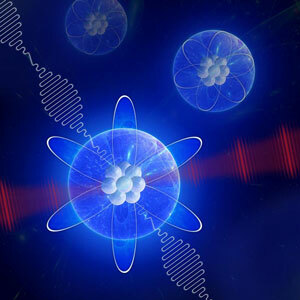 The current experiment used laser pulses to release electrons from atoms, and to measure and describe how this changed the state of the atom and the electron. Lasers are also essential tools for storing and transmitting information in measurement technology, in medical diagnostics and in modern production technology, from shipbuilding and aircraft construction to computer chips.